So the right-back has suffered an injury and will be out for eight weeks. What’s the big deal? Just plug in the next available right-back and continue on as normal... right? Unfortunately, things aren’t quite as simple for Hearts and manager Craig Levein. Michael Smith is Mr Dependable at Tynecastle. As a right-back he tracks runners, defends the back post, doesn’t commit basic errors, and is comfortable enough going forward to contribute to the attack. He’s not flashy or spectacular, but he’s consistent. For a journalist who occasionally has to write player ratings, this scribbler can attest that it’s worth pencilling in ‘7/10’ for Smith before the game has even kicked off. There are two right-backs with first-team experience waiting in the wings to take over: Marcus Godinho and Jamie Brandon, with the former expected to start this weekend’s match away to Motherwell, according to his manager. Each of them showed real flashes of potential in sustained runs in the first-team last campaign. The problem is that neither of them offer the same assurance as their Northern Irish club-mate. Godinho possesses a lot of energy and can quickly get up and down the park, while Brandon can manoeuvre past opposition defenders in one-on-one situations. What they don’t have is Smith’s defensive nous in terms of reading the game, going up against opposing wingers, and playing without a mistake lurking round the corner. There’s also the matter of Demetri Mitchell, who appears to have recaptured his place in the team on the opposite side of the back four. Whether it’s the Manchester United loanee or Ben Garuccio, the left-back spot is typically taken by someone with adventurousness in their footballing make-up. Suspect defensively themselves, this doesn’t present too much of a problem if there are three other defenders in the back four who are masterful at that side of the game. Reduce that to just Christophe Berra and John Souttar, and we could see the Hearts defence caught out more often. Peter Haring’s impending return from injury will help as he can provide extra protection to the defence, allowing this set-up to work against weaker teams at Tynecastle. However, against tougher opponents, especially away from home, it may not always suit to play a back four. Just as well for Levein that he’s utilised a three-at-the-back system often this season. The 3-4-3, in particular, was often used in Uche Ikpeazu’s absence as the Hearts boss tried desperately to find a solution to the lack of target man by using two attacking midfielders to support the lone striker. With Ikpeazu back and Steven Naismith, Sean Clare, Olly Lee and Arnaud Djoum all capable of operating in the two behind, he may once again return to this. With Godinho, Brandon or even Callumn Morrison operating at right wing-back, it would enable greater attacking impetus on that wing without sacrificing solidity. That said, Ikpeazu’s return to the starting XI on Saturday enabled a return to the narrow 4-4-2 used earlier in the season. Levein might want to see how his back-line shapes up before committing to a change for this very reason. Seeing as the narrow midfield (assuming it’s Clare or Djoum on right) leaves a lack of width, it may even suit to have a right-back bombing forward more often, even if it would expose the defence a little. A downside of using the back three in Smith’s absence was that he was so impressive when operating in the sweeper role at the heart of the defence. In the recent league draw with Livingston we saw the struggles Hearts had in building patiently from the back with both Berra and youngster Conor Shaughnessy a little too prone to going long with the football. Again, this will be a better tactic with Ikpeazu back in the fold, but it’s not ideal. Clevid Dikamona is another interesting wrinkle. 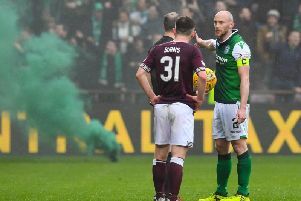 The Frenchman has only been given five minutes of football since his sacrificial showing in the Edinburgh derby win over Hibs, with Shaughnessy preferred instead. His debut for Hearts actually came at right-back as he was substituted on against Rangers at Ibrox following Smith’s red card - famously pulling off a double-nutmeg on two Rangers stars. He also has experience of the position from his time with French side Bourg-Péronnas in Ligue 2. Utilising him at right-back full-time would give the team a little more balance, with Mitchell darting forward at any opportunity down the opposite side and Dikamona staying put. 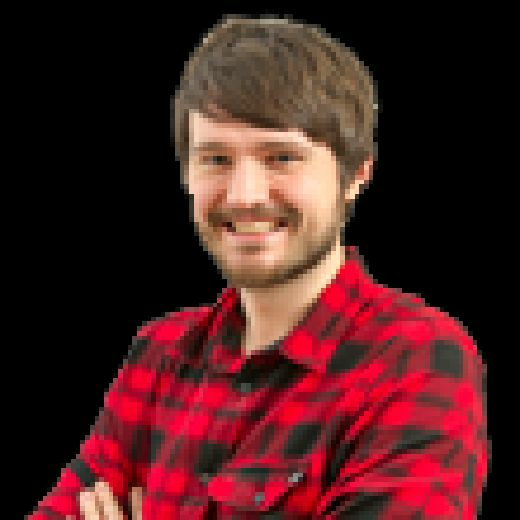 It would be gamble, though, seeing as it’s not yet known whether he can take on the responsibilities of the position for eight straight weeks in the Ladbrokes Premiership. It’s a blow to lose Smith, but as we can see, Levein has no shortage of options. Now it’s just a case of finding the right one.